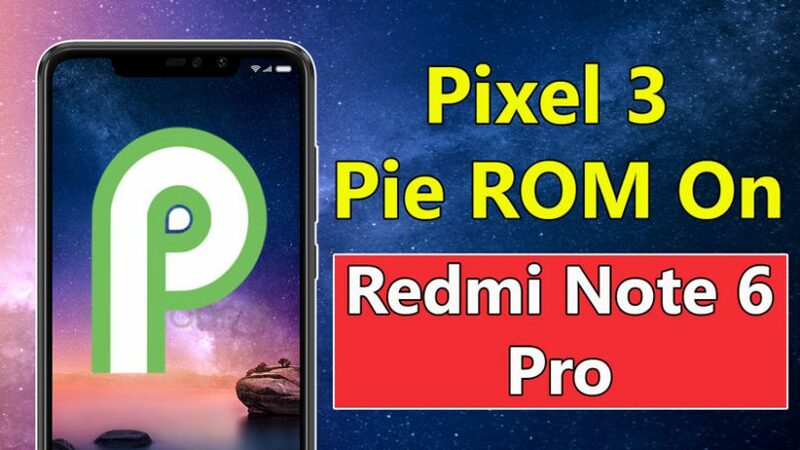 Hey, there today in this article I have come with the guide On How To Install Google Pixel 3 Android Pie ROM On Redmi Note 6 Pro. Yes, now the Android Pie ROM for Redmi Note 6 Pro is available. And with this Google Pixel 3 ROM, you are getting GCam with Night Sight Mode that’s awesome right. Just install the ROM and enjoy all the features of Android Pie on your Redmi Note 6 Pro. As I already said that this ROM comes with Google Camera Night Sight Mode Support that makes this ROM a beast. I have flashed this ROM on my Redmi Note 6 Pro and everything is working very well. Not got any bug till now. After installing this ROM the Battery is lasting for 1.5 days on normal usage which is great. This ROM comes with Themes support and I will also tell you how you can change the themes very easily. CrDroid Settings: This new feature can make your phone look like a beast. You can do lots of customization on your phone. So, I will guide you step by step on how to install it on your Redmi Note 6 Pro. The steps are quite easy just follow it as shown and your good to go. Final Words: So, this is all about Install Google Pixel 3 Android Pie ROM On Redmi Note 6 Pro. I have shown you the easiest method to Install ROM On Redmi Note 6 Pro. I hope this guide worked for your phone. If you want to ask any questions related this Pixel 3 ROM then make sure to comment down below. We would love to hear from you.